Bill and Rae got the Liverpool 8 Miners Support Group going around May 1984 and probably took a lot of stick off the WRP for having such a good idea. Be that as it may, one day Bill was in town doing a collection with the group, who were joined by a couple of Notts miners. 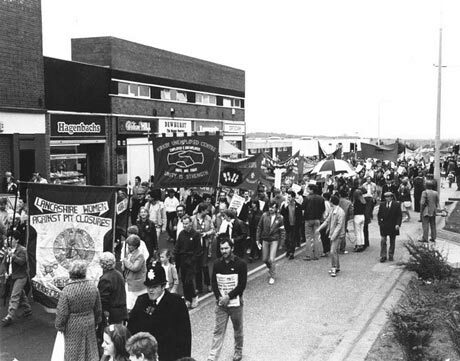 Liverpool, of course, was a Mecca for collections throughout the strike. But one of the Notts men stood to one side while everyone else did their bit. "Don't you want to help out?" Bill asked. "I don't do collections. I've come over to give the speech tonight." He replied. Bill grabbed the lodge official by the coat and thundered "I'm not doing this for you pal... I'm doing it for my class!" Greg Dropkin: from the booklet celebrating Bill's 80th Birthday.